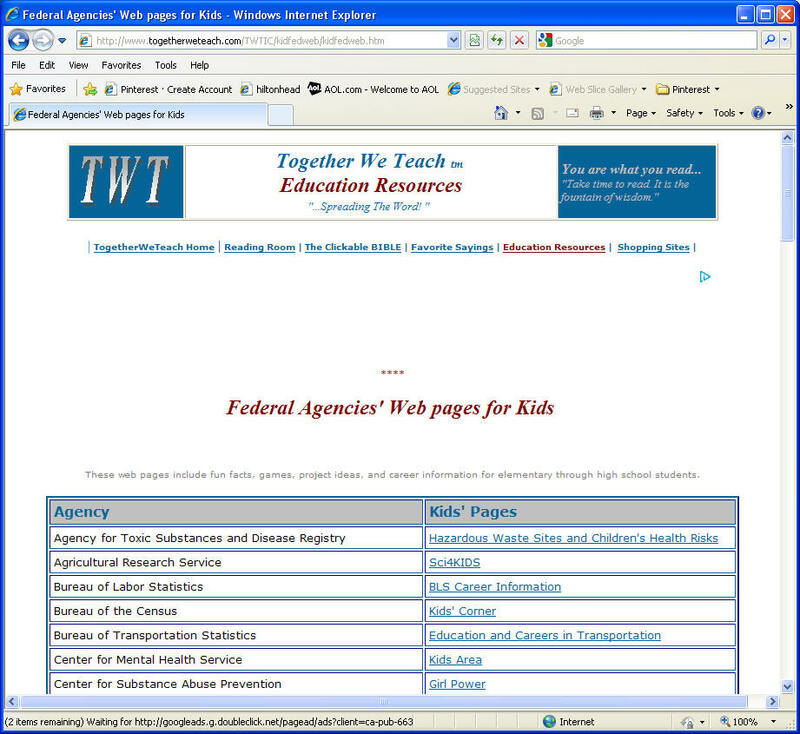 Kids.gov is the U.S. government's official web portal to all federal, state, and local government web resources and educational resources for kids, parents and teachers. The web pages below also include fun facts, games, project ideas, and career information for elementary through high school students. United States Fish and Wildlife Service Let's Go Outside!